You don’t tend to see many energy shots anymore. There was a time several years ago when every brand had a ‘shot’ version. As I expected though, these Spike shots have the familiar extreme bitterness that the shots of old use to provide. This berry flavoured shot was sadly masked by that aforementioned bitterness, so all you really taste is a sour burst of liquid that makes you draw your lips back over your teeth and inhale sharply. I’m a big fan of lemon flavoured energy drinks, especially chilled ones opened on a hot summer’s day because they are usually very refreshing. This one was so close, but the lemon flavour is just slightly too strong. It’s sugar-free (without making a song and dance about it on the can) which is I am assuming to avoid the sugar-tax imposed on high sugar beverages in the UK. I have to be honest, this tastes nothing at all like its original counterpart. 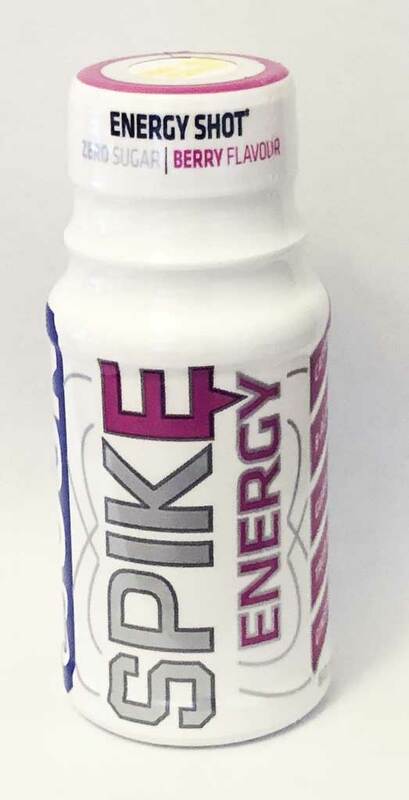 It’s a nice energy drink with no dodgy aftertaste and overall quite easy to drink. 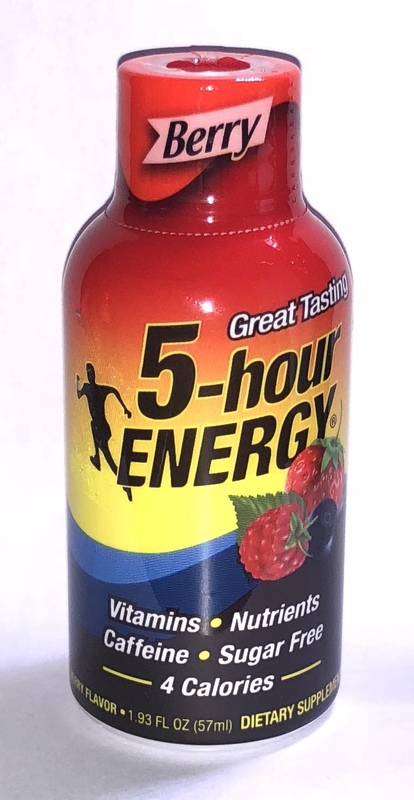 With these 5-hour energy shots it really doesn’t seem to matter what flavour they say it is – what you get is a quick burst of bitter flavour down your neck followed by a pick-up a few minutes later. And that’s what really matters… you do taste the berry I guess, briefly, but it’s not important or much different to the other flavours!